On 26th June I had an office work at Kandy. I took “Podi Menike” train from Fort at 6.00 a.m. As usual it packed with people. Around 8.45 a.m it reached to Kandy. In April month everybody busy due to Sinhala New Year. We planned to visit our relatives house in Mawanella. We planned to go by train. 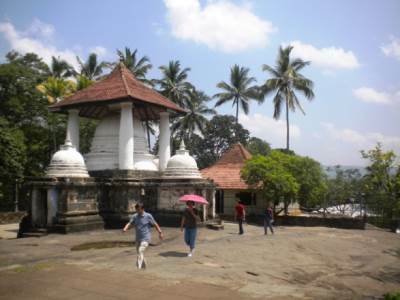 Kandy is considered as one of the main and historically important cities in Sri Lanka. 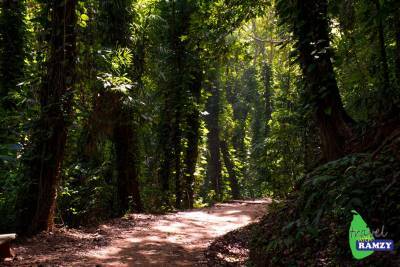 In 1371 King Wickramabahu established his kingdom and named this city as `Senkadagala’ in remembrance of the Brahmin called Senkanda’ who lived in a rock cave in Udawattekele forest. 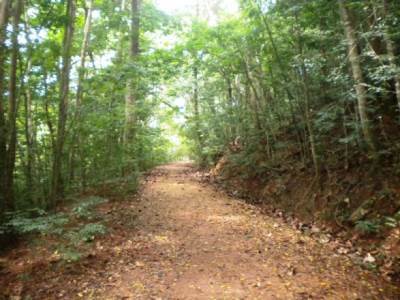 Thereafter all the kings who ruled took appropriate measures to conserve `Udawatte-kele: forest and regarded it as a part of the Royal Palace. Mutukelina Wewa (lake) is situated in Pathahewaheta, Kandy (near Bellwood). It is really an amazing place. 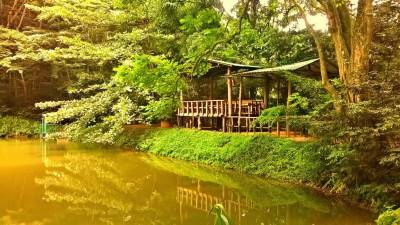 It is situated about 17km away (up to the hills) from Kandy city. Hanthana is the most popular hiking place among University students. Normally Social Trips and Batch trips are planned to hanthana due to less travelling time. It is my long term dream to hike Hanthana. With the aid of trip reports on Hanthana in Lakdasun we planned this trip. 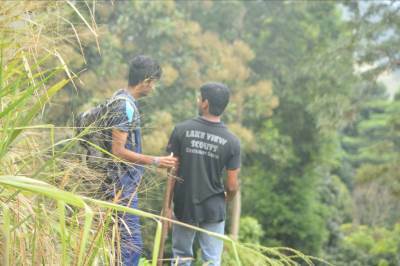 We stay 2 day’s in Mathale & next day morning we went to our next destination – Mawanella. On the way we visited Dalada Maligawa , Kadugannawa Railway Museum , Dowson Tower & Kadugannawa Mawela Viharaya.